Plot: Disillusioned reporter, Godwin, arrives in a West African village to cover the local festival, but soon finds himself swept up in a witch hunt. A series of misfortunes lead a village to accuse a young, mute girl of being a witch. Their Pastor insists that the only hope of salvation lies in her exorcism and death. His compelling rhetoric and ability to incite fear into the people threatens to tear their fragile world apart. 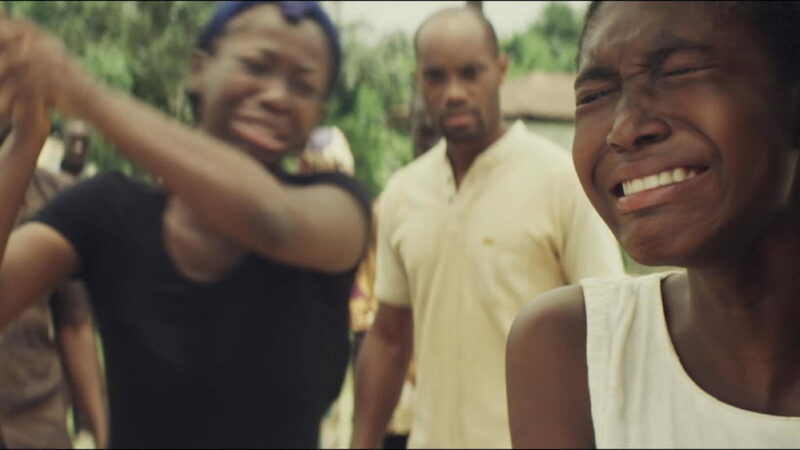 Godwin, with the help of a young school teacher, attempts to save the girl’s life, bravely fighting back against corruption and false prophets. The Cursed Ones could be compared to 1973 British horror The Wicker Man (as opposed to the 2006 American remake with Nicolas Cage). Beyond similar plots—an outsider enters a place that believes in the occult—they present communities that are, ironically, possessed by a belief system the viewer can’t quite believe exists in our modern society. More than beliefs, it is the values of these communities that disturbs and shocks. Both journalist Godwin Ezeudu (Oris Erheuro) and Police Sergeant Howie (Edward Woodward) act as the audience surrogate. These men are progressive and forward-thinking, coming from populated, cosmopolitan areas that are not bound to superstitions from a bygone era. And this is where the dread that emanates through both films comes from. The people of the town that Godwin visits seem to believe in witchcraft out of fear, as opposed to a genuine conviction that it is real. Because it is a relatively remote community, they see no need to look beyond what they are told by preachers and hunters. Nobody challenges those in power who feed them lies, whether or not they are men of the clergy. Those who dare to speak up for a young child accused of witchcraft are met with disdain. Directors Nana Obiri-Yeboah and Maximilian Claussen seem occupied with combating the troubling modern epidemic of witchcraft accusations. This film is their atmospheric, haunting comment on such a state of affairs. The fact that such a film exists shows that this is a society burdened by its past. To a large extent, the townspeople’s manipulation by con artists and greedy pastors can be seen as the historic result of a desire to hold onto something that came before the oppressive colonization by Europeans. Traditions are a comfort that separates them from a society they see being gentrified. They believe that old-fashioned, archaic values need to be upheld so the modern world cannot impact their unique identity. Whether this analysis can be applied to the real world, in a certain society that still seems willing to listen to accusations of witchcraft, is another matter. The practice of Witch Hunts has become increasingly prevalent because of charismatic preachers, especially in areas like Angola, Ethiopia, Congo, and Ghana, where the film takes place. There also seems to be a lack of significant intervention to prevent the spread of this culture by the authorities, so it is allowed to spread. Those who are stoking up fears of witchcraft are able to benefit from the conditions that are letting it thrive. Factors such as conflict, poverty, and urbanization are a perfect opportunity for fear-mongers to refer the susceptible to the past, and why it must be held onto—something Europe and America seem to be falling for as well, with rhetoric like “America First” and “Take Our Country Back”. The community of The Cursed Ones is unaffected by many of these real-world factors, but as the people are left to their own devices away from the rest of civilization, flawed though it may be, opportunists are able to cultivate a culture of fear and suspicion. 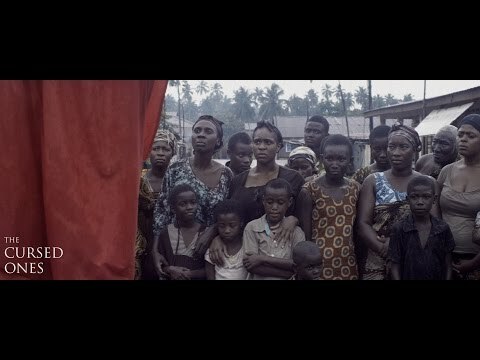 The current situation is hard to separate from the heritage of witchcraft in Africa, and indeed this has spread to the UK as well within its African Immigrant populations, and whilst it is necessary to understand the past in order to solve the issue, a film like The Cursed Ones is a great summation of the conditions that allow the past to hold credence over the present, and feed on the fears and uncertainties of less progressive people. The film is all about the clash of a progressive future—and the outsiders who champion it—as well as the comfort of the past and the conservative values associated with it. The Cursed Ones–Ghana, United Kingdom. Dialog in English. Directed by Nana Obiri-Yeboah and Maximilian Clausen. Starring Oris Erheuro, Fred Nii Amugi, Ama K. Abebrese, Jimmy Jean-Louis.